4 CMAC racers and 1 coach (functioning as both a CMAC and PNSA coach) attended this series of 6 races and were greeted great weather and an even better field. Alex Oseland, Tyler Ellis, Reed Lower, Peter Moe-Lange and Coach John Ellis enjoyed the Sunshine and were impressed by the strength of the skiers, including a few X-CMAC racers. Unusual for the Northwest, the penalties for the races were generally lower than the average temperature. All of our CMAC racers put forth a great effort during this series and for the most part skied very well. However the level of competition made scoring pretty difficult. 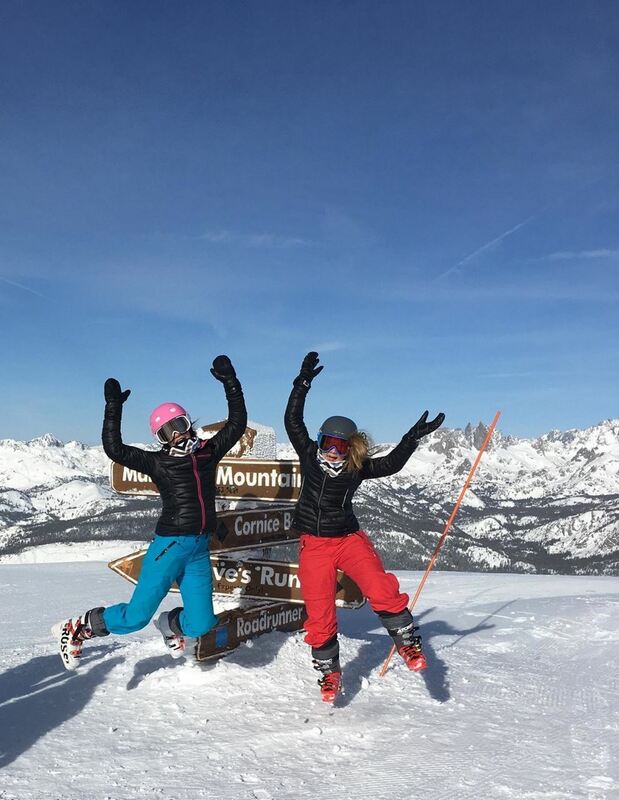 Our FIS kids would benefit from skiing with better competition on a regular basis so that skiing faster would become a normal habit. Coming away from this series, we learned more of what other skiers (and other teams) are doing to ski faster and we will incorporate this into our training and racing immediately. 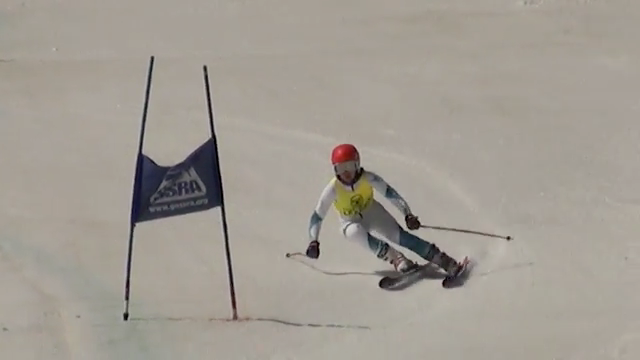 The NW Cup finals proved to be an incredibly fun finish to the season for our FIS and U16 racers. We also had a few U14 racers that qualified from the Buddy Champs. A small group of CMAC racers were able to attend the Thursday dual SL and had a blast. The kids loved the event despite baking the hot sunshine. Lot’s of salt was thrown and our kids skied fast. Sierra made the sweet 16 and Katie won the entire event after ten runs of racing! Great job girls. The next event was supposed to be SG, but they canceled due to fast melting snow, and hot temperatures, so we had a GS and two SL’s to finish out the season. We again had numerous podium finishes throughout the classes and CMAC won the NW Cup girls team title, finished third in the boys, and came in a close second in the overall team title. Congrats! In the overall events CMAC had some stellar performances this season. U16 Regional Champs and U16 CanAM Champs. 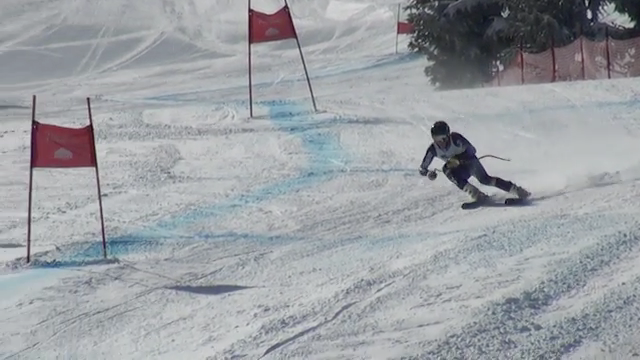 CMAC had a large group of competitors qualify for the Regional champs held at Mammoth Mt. CA, and three boys attended the CanAm champs at Panorama BC. The team went on to the finals and won the U16 overall season title for PNSA. Congrats! Max Schoening and Duncan Walker were invited to Canada but opted out. Here is a photo during the free ski day in Mammoth. This was a great wrap up for the speed events for the season. We had some challenging conditions and long days on the hill to get the races completed, but they were incredible races for our CMAC athletes. While athletes from other divisions were certain the race would be cancelled, our athletes were prepping the hill, getting warmed up and ready to race. Alex Oseland had two of her best SG races of her career, cutting her points in half over the two races, winning the first SG. Sierra Smithand Lydia Ringerhad great scores and move ups as well. For the men, Ty Ellisand Carson Homewoodboth cut their points significantly through the speed series. This event was an incredible opportunity for athletes to start fairly close to World Cup racers at a high level race close to home. Corbin Krayraced the downhill before a scary illness got him helicoptered to Vancouver. He is doing well but still recovering. Ty Ellisand Tristan LeCuyerdid the Super-G and Super combined races over the weekend, racing against Canadian world cup athletes like Manny Osborn-Paradis. The venue was great, the snow held up well and Ty and Tristian got the opportunity to test themselves against some of the best in the world. The Super-G’s at Stevens were on a brand new hill on the backside of the mountain. They did a great job prepping the hill for the inaugural running. 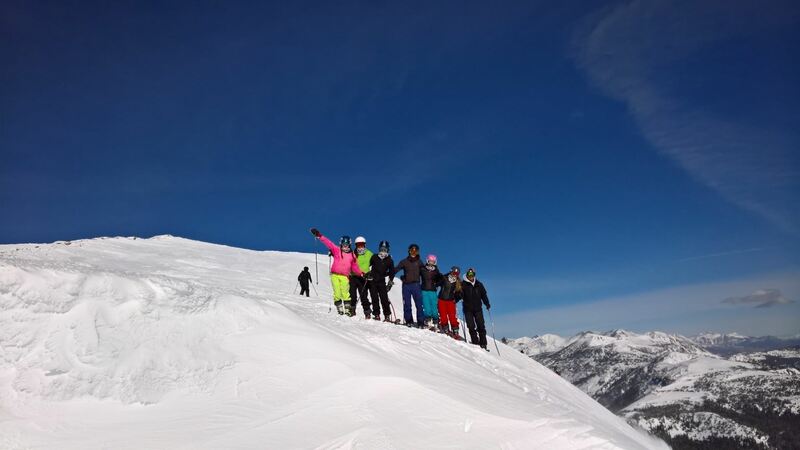 It is a challenging hill, with a great steep section on the top, rolls and and gliding in the middle and a really tricky turn off of a jump into the final pitch. I was the referee for both races and we needed to stop and make some adjustments to the course a few times to get athletes through all the gates. Overall CMAC did great at the race, withAbby Orford, Sarah Hampsonand Anna Gibbonson the podium the first day, lots of top 5 and top 10 results and great point scores. The Buddy Werner race could not have had better weather, we lucked out with beautiful sun all weekend at Mt.Bachelor. CMAC skied extremely well with the Men's Team placing 2nd overall, the Women's team taking 1st, and CMAC taking 2nd place for PNSA! We had some really great skiing at every level that help contribute to the 2nd place overall! Men's SG : Lewis White 1st; Graham Barwick 10th; Michael Guo moved up 55 spots! Lewis White Buddy Werner Men's Champion!! Evie Wright 2nd Place overall! Aili Moore 4th overall! 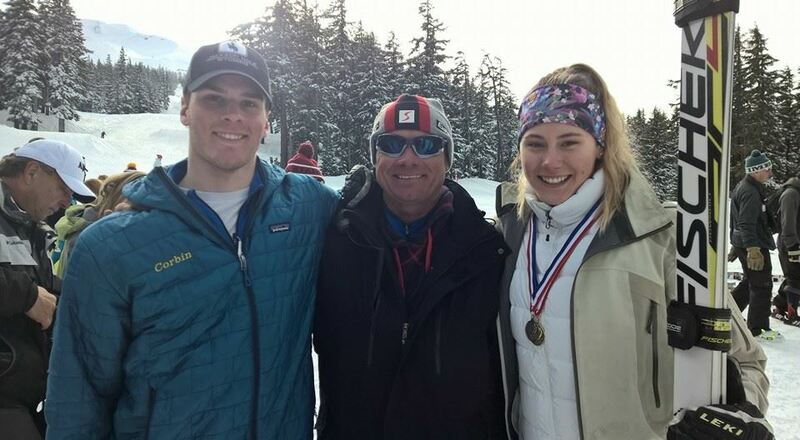 We had three fantastic days of ski racing at Mission Ridge on March 18th to the 20th. The first day was the dual slalom where Winthrop Flaggart topped the podium for the boys and Poppy Honeybone placed 5th for the girls. The next day was the giant slalom. For the girls Annaliese Frolich took first place with Abby Headstrom in 13th, Aleah Waterson 16th, Quinn Dennehy 20th, Poppy Honeybone 23rd and Elise Walthers 25th. For the boys we had four racers in the top ten with Karsten Farris 3rd, Oliver Loeser 4th, Charlie Orford 6th, Tristan Krohn 7th and Ahad Athers 13th. On Sunday was the slalom. Again Annaliese Frolich took first, Abby Headstrom 12th, Elise Walthers 14th, Poppy Honeybone 15th, Aleah Waterson 18th , and Nora White 22nd. For the boys again we had four in the top ten with Karsten Farris 3rd , Winthrop Flaggart 6th , Oliver Loeser 7th and Ahad Athers 10th. Annaliese Frolichwon the girls overall title. CMAC tied for first for the boys teamchampions and the CMAC team tied for second overall. The 2016 Sun Cup DH/SG has decent weather without too much blowing and snowing, and even a little bit of sunshine. We had yet another Sun Cup DH winner: Alex Oseland won a DH event and Tristan Lecuyer came top 5 for the boys, setting himself up to challenge for the Sun Cup title next season. Katie Holm won a SG event, and Ty Ellis placed 2 in SG, so the CMAC speed success continues. We had numerous kids with to 15’s and many with strong move ups and great progress with tucking and jumping. The parents also enjoy the week as much as the kids. With all the great free skiing and awesome après ski, the trip was super fun. The full race results are here. Congratulations to Ty Ellisand Alex Oselandwho were invited to race at the U19 Nationals!